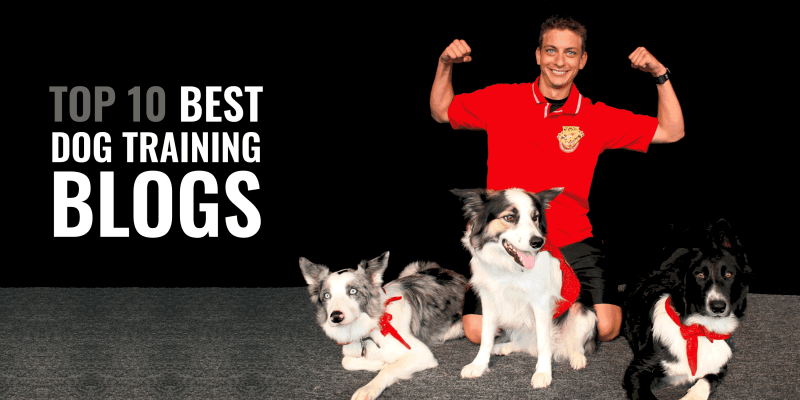 Top 10 Best Dog Training Blogs — Zak George, Cesar Millan & More! Great dog training blogs are hard to find so we reviewed our top 10 favorite dog trainers who regularly publish free content online. Whether you are a panicking dog owner or an aspiring dog show participant, you will love each blogger below. Remember that dog trainers all have different philosophies and ideals. For instance, many prefer positive reinforcement over the pack structure and punishments. We are not here to judge any dog trainer, as long as the animals they are training are cared for and loved. We have not discriminated on this list but have mentioned what ideologies each dog trainer favors. Browse through this list of the best dog training blogs worldwide and enjoy their free YouTube videos, articles, and paid upgrades! Some dog trainers even organize seminars, so check their dates near you. Zak George is one of the best, top dog trainers today not only his home country, USA, but he is a worldwide sensationalist when it comes to dog care and training. Zak is most known for his popular YouTube channel as many dog lovers around the world look up to him as a leading contributor in his profession. With his magnetic personality, Zak George has won the hearts of both humans and dogs. His winning smile and sharp mind focus on building loving relationships with your pets in order to reap the maximum benefits while training. His vision is one that highlights the interpersonal reactions with our pets and downplaying the more forceful approach. He believes a strong, healthy relationship with a dog is what brings forth fruit in any training regime. Zak George is also known for his TV shows including Who Let the Dogs Out? on the CBBC UK kids channel as well as the 2009 SuperFetch. He has also been featured on various Animal Planet channel programs. However, it’s his varied YouTube playlist videos that have given Zak his accredited esteem. 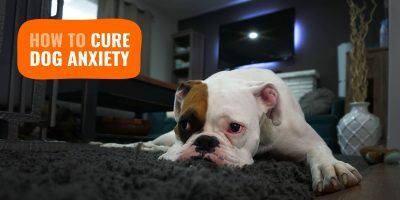 His videos include many how-to tutorials, a focus on puppies, many step-by-step guides such as bringing home new pets and raising them, as well as a focus on disadvantages of leash pulling. Zak’s book “Dog Training Revolution” integrates all information presented in his videos and condensed down for easier comprehension. Emily Larlham, a professional dog trainer in San Diego, is a top YouTube dog trainer that specialized in providing excellent informational videos to dog owners everywhere. 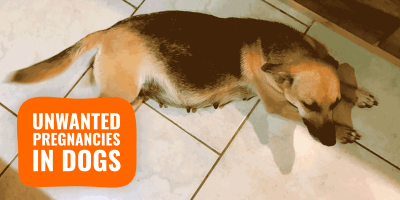 Her YouTube channel, Dog Training by KikoPup, is booming with over 300 high-quality videos. Her dog training focus is centered on establishing a great foundation in using positive reinforcement as her main success tool. She also specializes in clicker training which has earned her the mass attention she now receives. Some of her featured tutorials include teaching your dog how to skateboard, to turn lights off and on, as well as a how-to for sword fighting. Emily Larlham also runs her own website, Dogmantics, which offers a wide variety of paid content. Her aim with this is to provide dedicated dog training with a scientific background basis for understanding technique. Her site includes various self-study courses, a shop, weekly memberships, videos on demand, loads of free reading material and even a Protocol for Emotional and Behavioral Modification. Today, she conducts seminars in six different continents and has earned a lot of respect in the dog community. The renown Mexican dog trainer, Cesar Millan, has been a household name in the canine world for many years now thanks to his many TV appearances and most notable TV show on dog training and psychology, The Dog Whisperer. Others include Cesar Millan’s Dog Nation, Cesar 911, and Leader of the Pack. Cesar is highly respected in the community for his endowed expertise in canine living, yet he has been criticized for his very “alpha male” vision of dog training. To many, this is an outdated dog training philosophy. However, to his account, he has shown remarkable results in his dealings with dog owners and has pushed a lot of free content on his website. 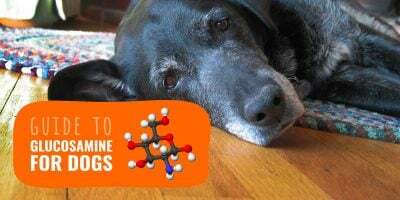 He does not write his own blogs, but nonetheless, his website is constantly updated with current dog trends and tips on how to literally “read” your dog better for optimum interaction. Cesar’s Way specializes in adoption tips for dog owners wishing to adopt with help tips pertaining to rescuing, adopting from a breeder or shelter, and choosing a compatible mate. His dog psychology blog section offers insights regarding canine instincts, senses, body language, and correctly reading and identifying their energy patterns. With a life that started with just walking and grooming dogs, Cesar has paved the way for training success amongst many dog professional peers today. There are a lot of dog blogs that can be found all over the internet today. However, one of the most popular and sought-after blogs in the canine world is That Mutt. It is consistently providing warm and friendly communication to the dog world. This blog provides an interesting “training” blog category to better prepare dog owners on what to expect for their pets and how to best handle them. Noted bloggers who contribute to the blog include Lindsay Stordahl, who happens to be the main blogger along with her beloved mutt, as well as Ace, Julia Thomson, and Barbara Rivers, who specializes in raw dog food. That Mutt provides an emphasis on feeding dogs a raw food regimen to keep them healthy along with recipes and insightful information. The blog provides an in-depth section on dog walking which includes information on charging dog walkers, insurance, tips for leaving them with a sitter, and filling out business forms. Its dog training guides range from behavioral issues such as crying and biting to socialization mistakes in dogs. 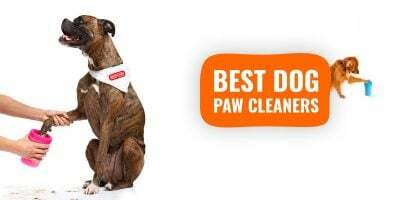 That Mutt even provides a shop in which dog lovers can purchase varied dog accessories from MightyPaw. Leerburg integrates a popular YouTube channel with a store, blog, and DVD. Leerburg is a very well-known dog training portal based on the ideas and inspiration of its head trainer, Ed Frawley, and his elaborate, knowledgeable team. This dog training brand is excellent at improving their techniques and is always more than happy to disclose and fix their errors. When Leerburg makes a mistake, they are the first ones to acknowledge it and offer a personal blog for readers to interact with and leave comments in response. The Leerburg website is a wonderful source of information especially for k9, canine sports, guarding, and other working dog training methods. Online courses are provided including housebreaking and basic dog obedience. Users also have the option to download a free catalog containing a wealth of information on professional dog training and insightful tips. Dr. Ian Dunbar is a popular animal behaviorist, a vet, and a professional dog trainer. 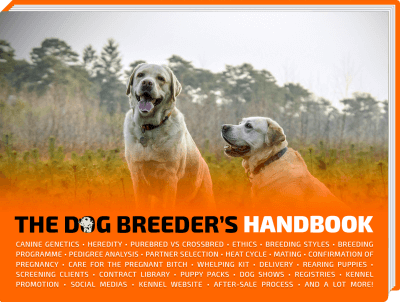 Ian Dunbar offers an immense wealth of information to the canine community. He publishes new content frequently on his blog, DogStarDaily. To date, it already contains hundreds of articles that are freely available to read and use for study. Some paid upgrades are available as well, along with beneficial videos that are free to view including food manners, vet caregiving, and various features on World’s Dog Trainer. Ian Dunbar has written several books including How to Teach a New Dog Old Tricks, and After You Get Your Puppy and several other books and DVDs on the concept of dog training with emphasis on behavior. He was the first trainer to teach the off-leash puppy socialization back in 1982. Ian Dunbar has appeared numerous times on TV in other countries including his home in the US, on the Today Show. In the UK, he hosted a TV series called “Dogs with Dunbar”. Jim Burwell is referred to as a classic in the dog training community today. He has been around for a long time and still, today offers some of the most comprehensive dog training material to date. Jim is Houston’s most trusted dog trainer and his tried and true methods always guarantee results. He has trained well over 10,000 dogs in his lifetime and is the founder of Rover Oaks Pet Resort. His website articles offer advice in dog behavior, obedience, the relationship between kids and dogs, as well as various news updates and success stories. His site provides videos in dog behavior coaching and specialized topics geared towards reinforcing the command as well as how to use fun games in order to get your dog properly trained and enjoyable at the same time. Jim Burwell has been featured in many magazines and online reviews from various canine peers including the training of Radar, a celebrity dog owned by KPRC-TV as well as the famed Sandy, the dog who featured in the musical Annie in 1998. He has been selected for Best Dog Trainer in Houston by over 500,000 readers of the Houston Press. His service is one of the best on the market and with his rapid, ongoing publishing of informative articles, videos and even eBooks, Jim Burwell remains a bona fide example of what a true dog trainer is all about. Dr. Jen is a well-respected behavioral vet and dog trainer with a focus on treating the most animalistic signs of a dog’s behavior including aggression, anxiety, separation, and compulsive issues. She has three dogs of her own who often compete in dog shows including AKC conformation and agility. Dr. Jen is a member of several dog organizations and provides private lessons for dog owners as well as group classes. Her lessons focus on the subjects of obedience, competitiveness, agility, and rally. She created her blog in 2016 which now holds an abundance of articles and information. However, navigating her website for specific blog posts is not always easy and is often a tedious task. In this case, it is recommended using a quick google search in order to find the information from her website. As a member of the American Veterinary Society of Animal Behavior (AVSAB) and Association of Professional Dog Trainers (APDT), Dr. Jen is now hosting her own new dog podcast, Dog Talk With Dr. Jen where she offers practical advice and tips on training, canine living, housetraining, neutering, and of course, behavior. She has also published a book, Train Your Dog Now, which focuses on the basics of commands and behavioral fixes. Karen Pryor is a leading dog trainer that specializes in clicker training. This type of training is a modern training method today and Karen has essentially turned it into her bread and butter. Clicker Training derives its name from using a stimulus, in this case, a clicker, in order to produce an operative condition reaction from the dog for training purposes. These clicks are designed to reinforce the desired behavior in a dog. They have been favored over more primary reinforcers that are normally applied such as food. The small, metal noisemaker clicker when clicked, helps the dog remember the behavior that is associated with that noise, much like the training in Pavlov’s experiments. Karen has simply taken this method and has provided an entire database solely on strengthening this unique training and has even taken it further by providing informative, regular blogs that are always up to date. She provides a lot of free blog posts with videos and a lot of merch. What’s great about Karen Pryor’s website is that she offers extremely helpful side services such as clicker-friendly dog trainer finders in which she personally finds the right clicker trainer for your individual needs. Dog owners can learn to do their own clicker training by utilizing her academy or simply contact her through her blog for consultations. Susan Garrett started her dog training career at the University of Guelph where she received a Bachelor of Science in Animal Science. She specializes in agility, showing, and handling and is currently one of the most successful agility competitors within the last couple of decades. Susan has gone on to win multiple prizes and medals in both national and world championships with her personal pups. She is also a leading educator in dog training due to a heap of dog-related websites in her name including susangarrett.com, susangarrettdogagility.com, and clickerdogs.com. Susan Garrett offers an extensive amount of YouTube videos that have been published over the last decade ranging from dog nail clipping to various handling techniques during canine competitions. She now helps thousands of dog owners within 82 countries in training and helping them become more intimately familiar with their dogs for better relationships. Susan offers camps and has written several eBooks and produced DVDs. Training, workshops, private lessons and various online courses are available online. 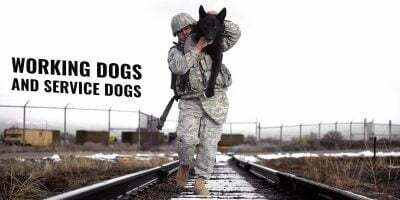 You can find them on Recallers, Handling360, and Agility Nation. On these courses, she teaches her tips and tricks and all the training methods she has learned over the years in order that other dog lovers can reap the benefits. That’s all for our list of the top 10 best dog trainer blogs out there. We are very sorry for the few we could not mention yet still thoroughly enjoy reading. Special mentions to Victoria Stilwell, Brandon McMillan, and the other ones we did not add to this top list!